Making kiddos eat their peas doesn't exactly get them jazzed about healthy eating, but there are plenty of fun ways to introduce them to the subject. 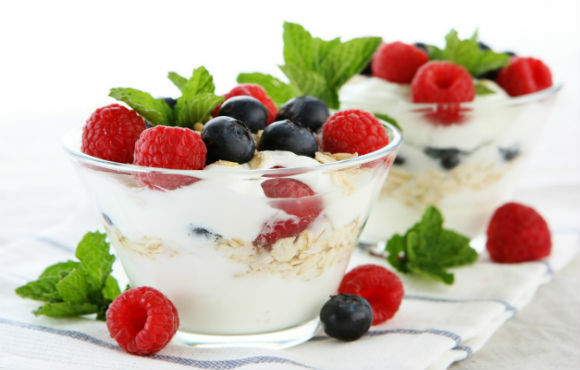 Good nutrition is all about maintaining simple habits over time. 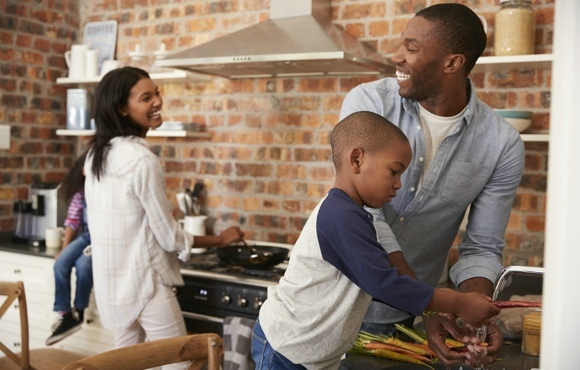 When it comes to kids, involving them in meal planning and preparation and introducing nutrition into everyday play can help set them up for success. Try these fun ideas, and they'll learn to love a healthy lifestyle in no time. 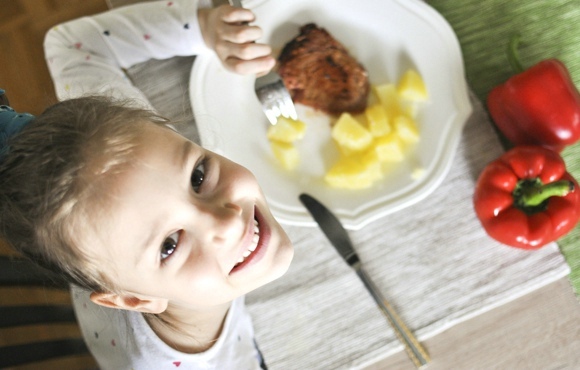 Kids are more likely to look forward to meals–and the healthy foods on their plates–when they can help make the menu. Choose a time each week to sketch out a rough plan for breakfasts, school lunches and family dinners. Give kids simple choices to make: Nuts or bananas on your oatmeal? Carrots or broccoli with our chicken? Take the opportunity to point out healthy facts about each choice along the way. Featuring handy sections and cute cartoons, colorful plates for kids add an extra dash of fun to a well-balanced meal. This version from Precise Portions was even designed by registered dieticians. 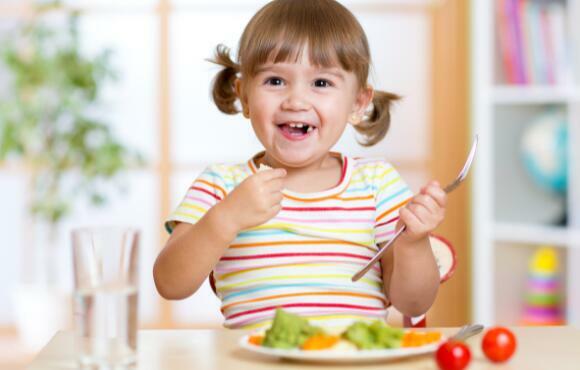 Let kids explore the plate before placing proteins, veggies and grains in their designated sections. This will help them learn the major food groups and the proportions of a healthy meal. Every child loves pretend play, and play food makes any game of house, school or restaurant that much more fun. Snag a set like this food group-focused assortment by Melissa & Doug , and they'll have a blast cooking and serving healthy "meals" to family and friends. Helping prepare healthy meals is one of the best ways to get kids excited about nutrition. Little ones can get involved by washing fruits and vegetables and spinning greens in a salad spinner. As children grow up, they can help season dishes, make simple measurements and perform hands-on tasks like rolling meatballs. 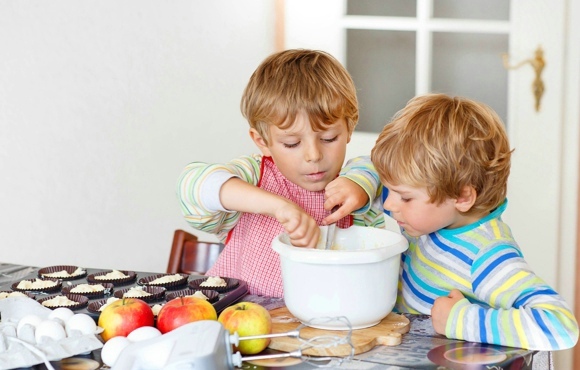 Kids cooking classes are also a great idea for budding young chefs! When kids are old enough and responsible enough to get involved in more advance kitchen duties, invest in a set of safe, kid-friendly utensils. Complete with tools and even stickers, too, this set from the Curious Chef is designed just for young hands. Your junior cook will also love having their own special cabinet or drawer for their gear. 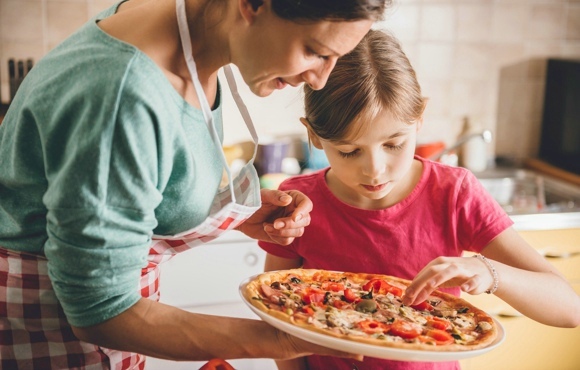 As they become more comfortable in the kitchen, choose a few go-to recipes that your kids can prepare on their own. Start simply with toast and almond butter for breakfast, then move up to dinner favorites like tacos or pizza that older kids can customize to their taste. Click below for a few of our best ideas. 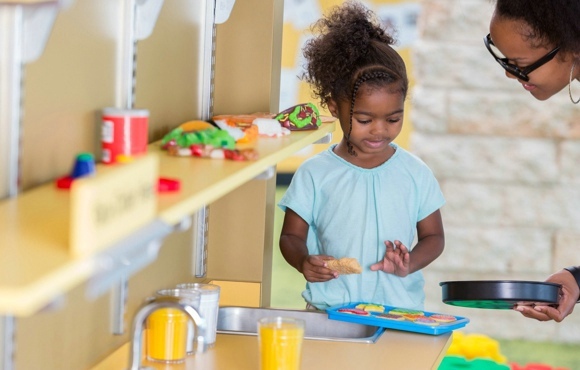 Throughout this journey, kids must also learn the importance of kitchen and food safety. 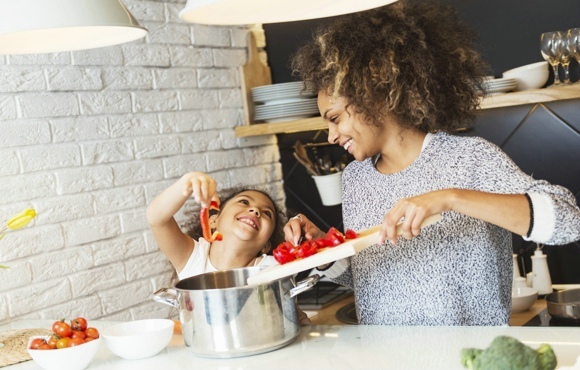 Washing hands before eating or preparing food, using great caution around hot surfaces and practicing proper knife safety are all crucial lessons. It's also key to teach kids about what's OK–and not OK–to taste in the kitchen. This should include learning to always cook meats and eggs before eating them, as well as the fun task of tasting certain recipes to adjust seasonings and sweetness. 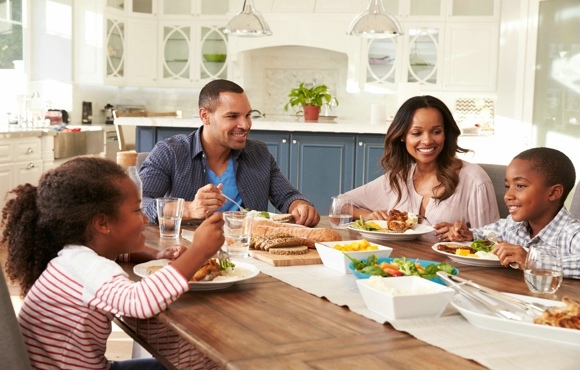 Talking about the meal you're eating and all the things you appreciate about it is another great way to get kids interested in healthy eating. As you chat, give them a chance to play with their food a bit as they taste a little of everything on their plate. This helps them explore what they like about the food, instead of focusing on just finishing the meal to get to the next activity–or dessert. When it comes to kids, it's always great to gamify! This rule definitely applies to teaching healthy eating habits, too. For example, the Eat & Move-O-Matic app uses fun graphics to connect food and exercise for kids, assigning real-world activities to calories burned. Or go for the Healthy Helpings board game, which teaches two to four pint-sized players the basics of building a healthy plate of food.